The small Piazza bag is new for Cruise 2019 in a workmanship that translates the look of lace into leather. 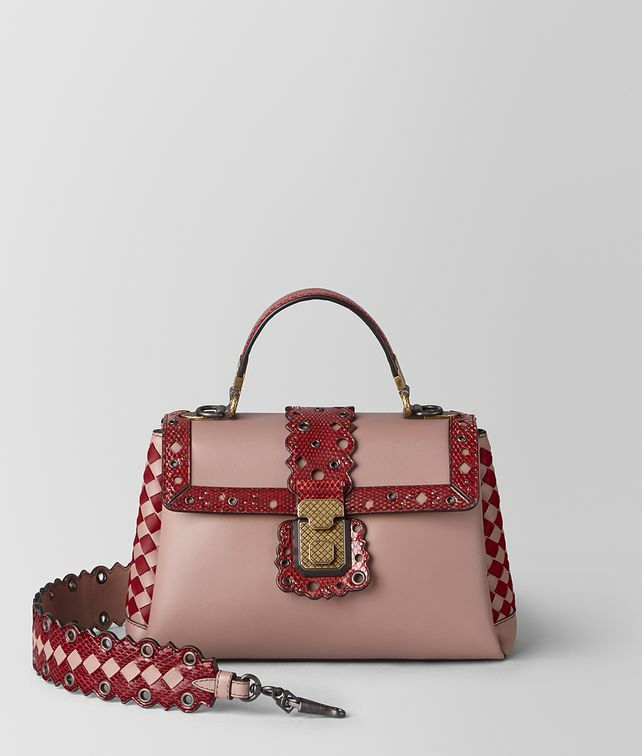 The shoulder strap and bag are trimmed in precious ayers with scalloped edges and accented with a mix of antique silver studs, brunito eyelets and geometric cut-outs. Hand-woven Intrecciato Chequer detailing on the side panels and shoulder strap further add to the intricate design. The bag features a refined folding construction and three interior compartments.